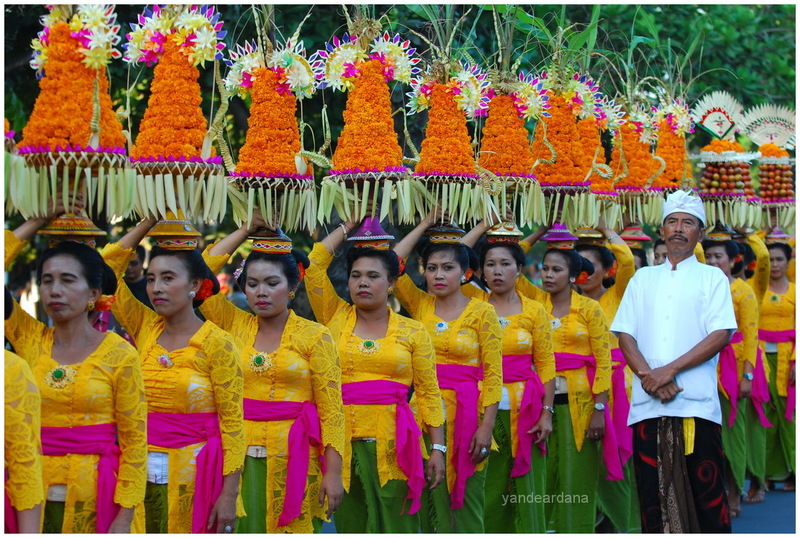 These pictures taken during the opening of Bali Art Festival 2014. 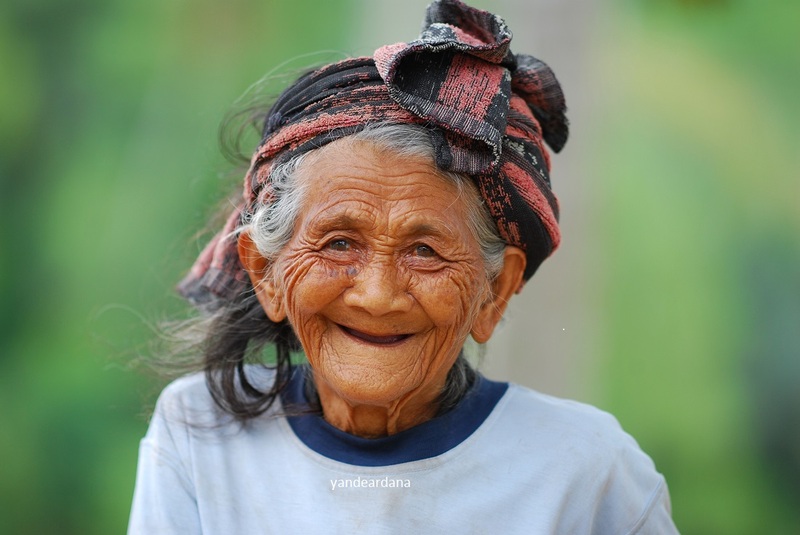 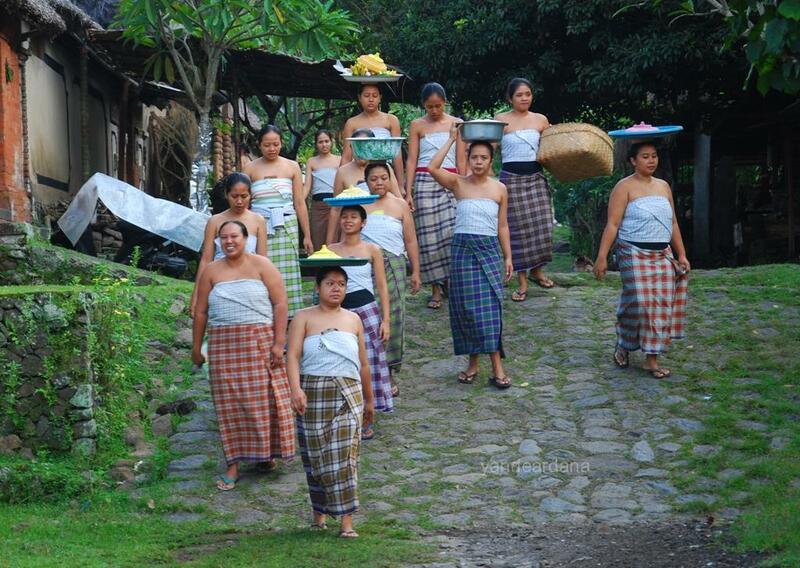 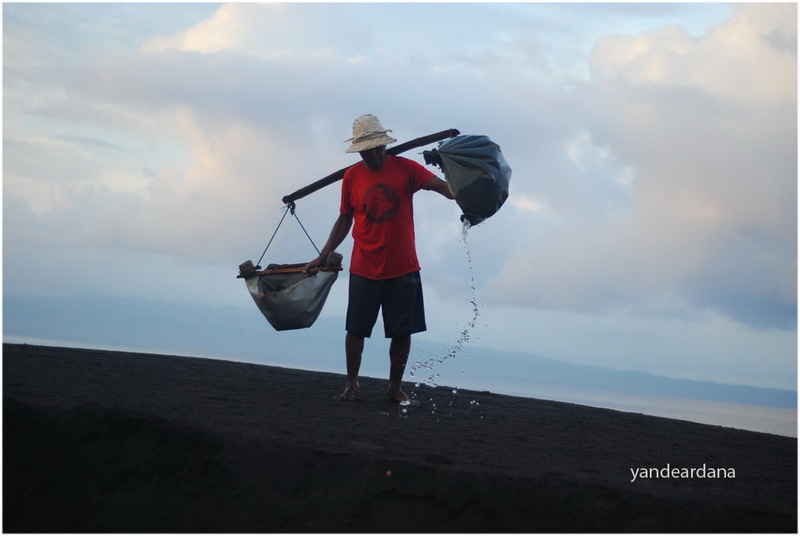 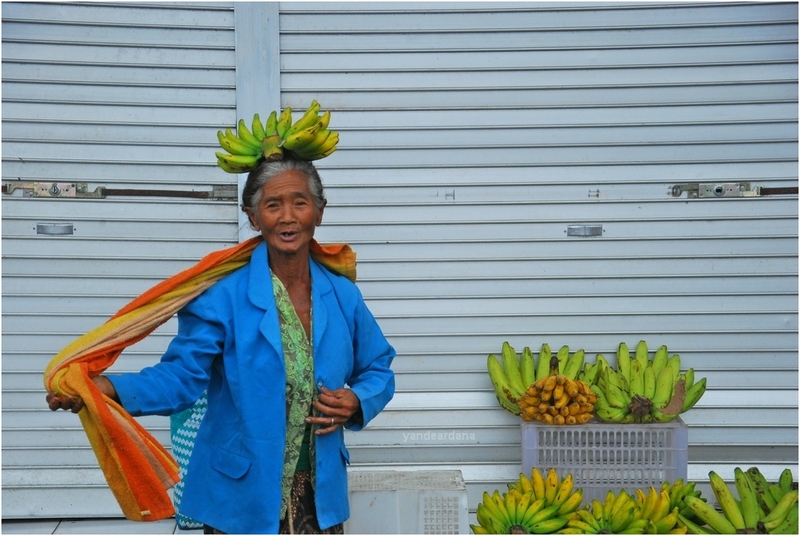 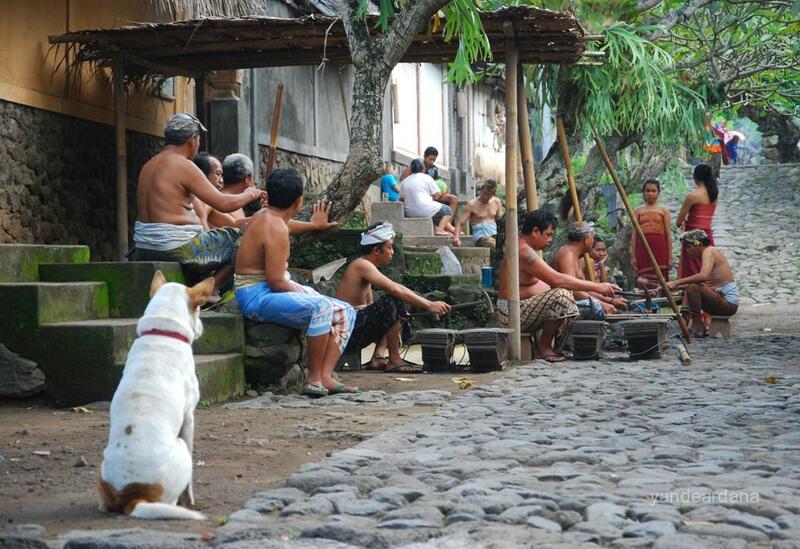 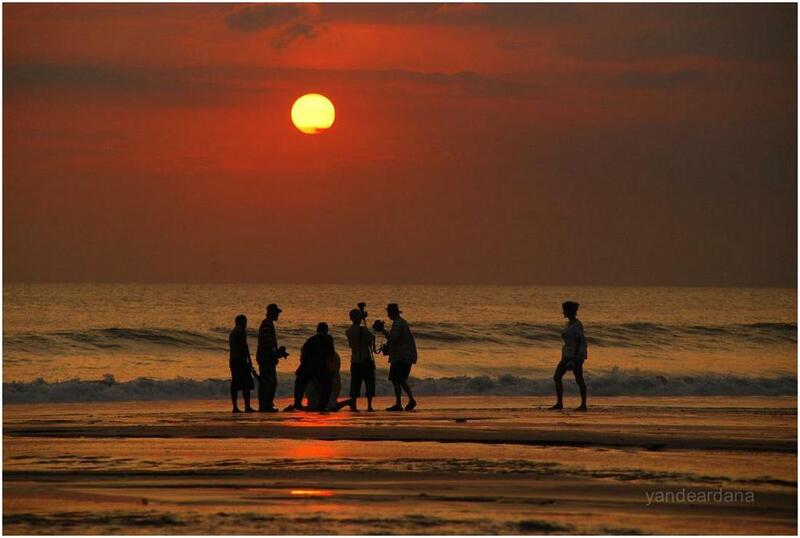 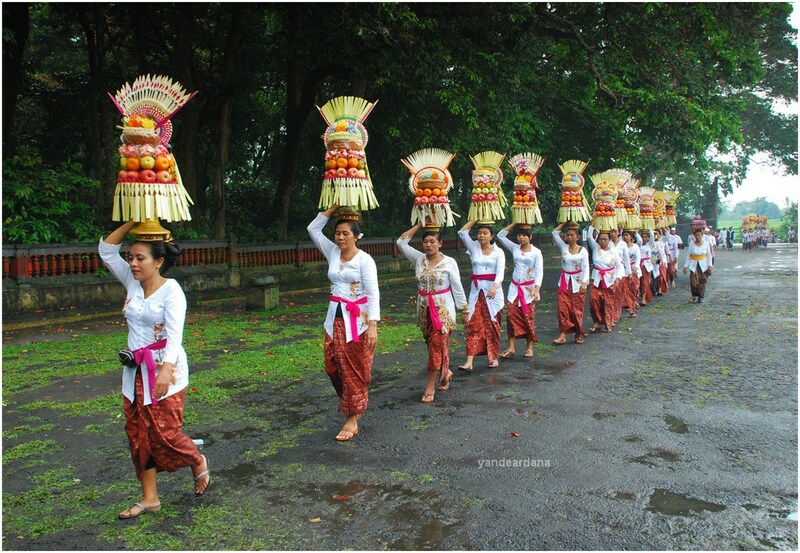 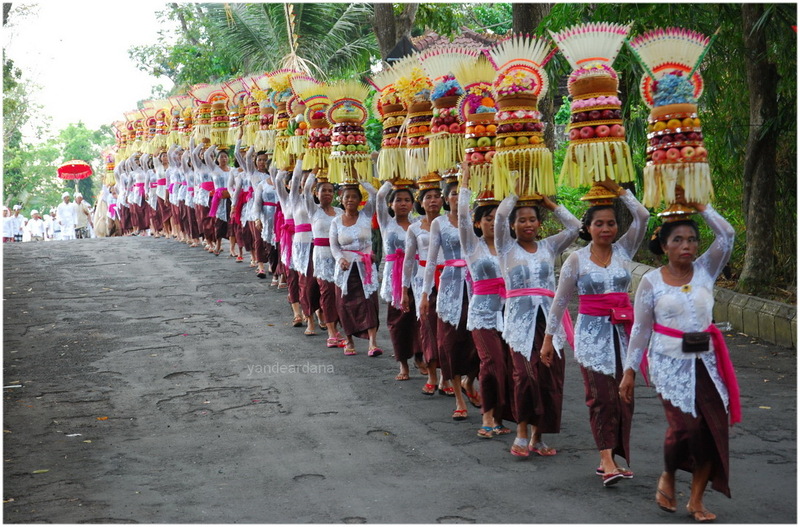 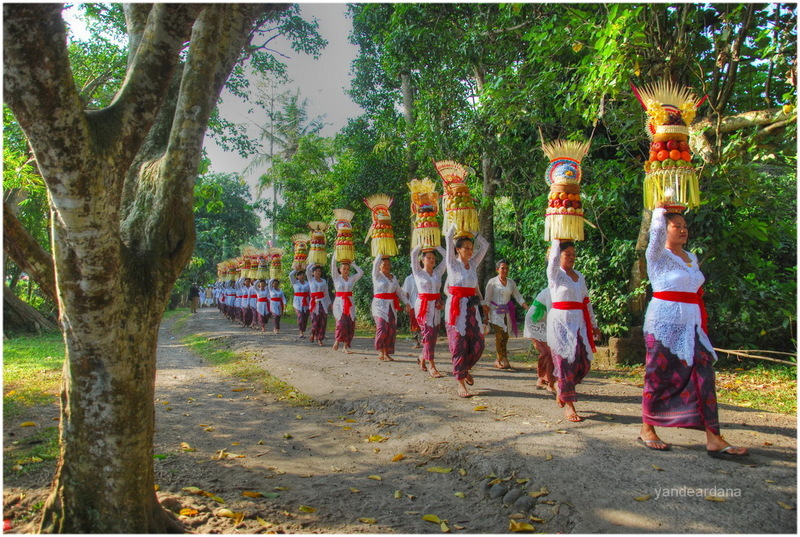 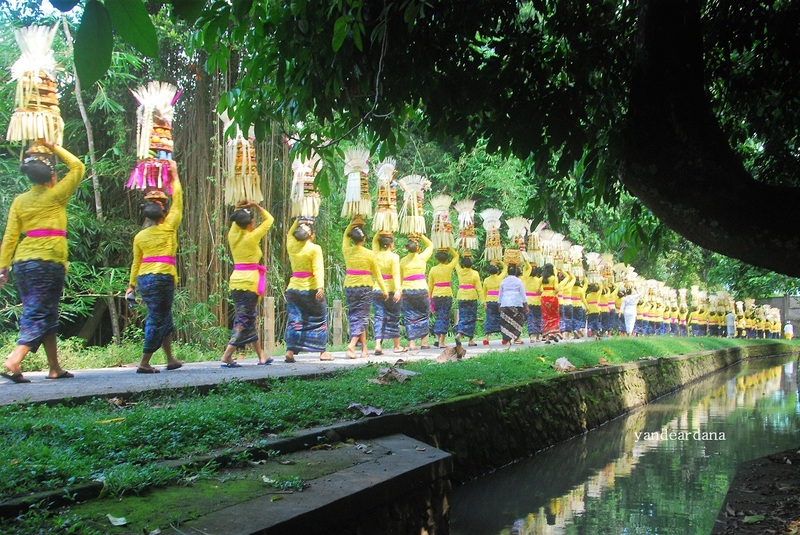 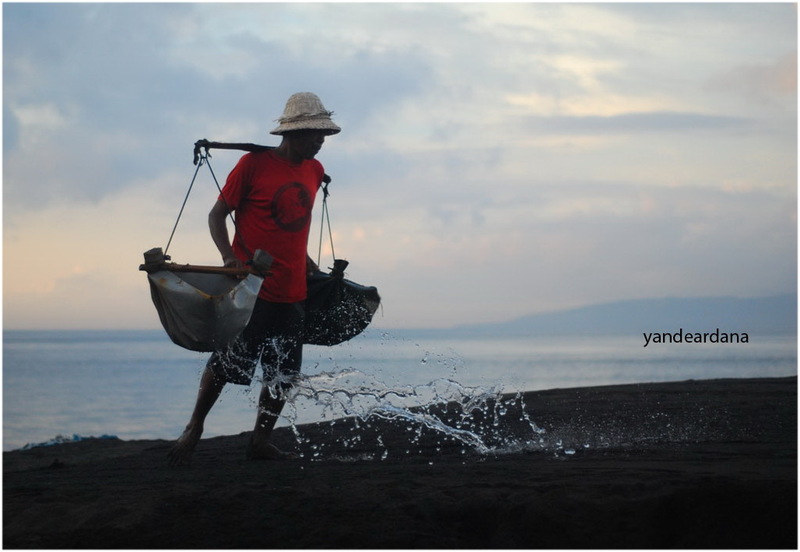 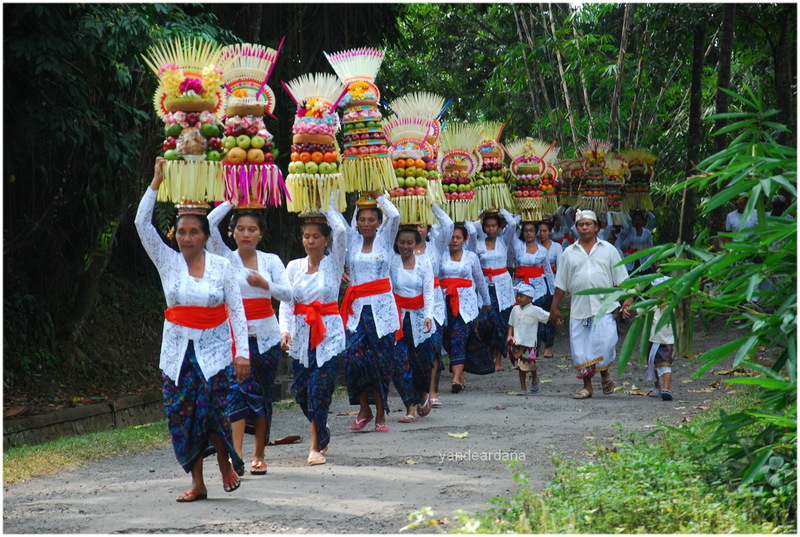 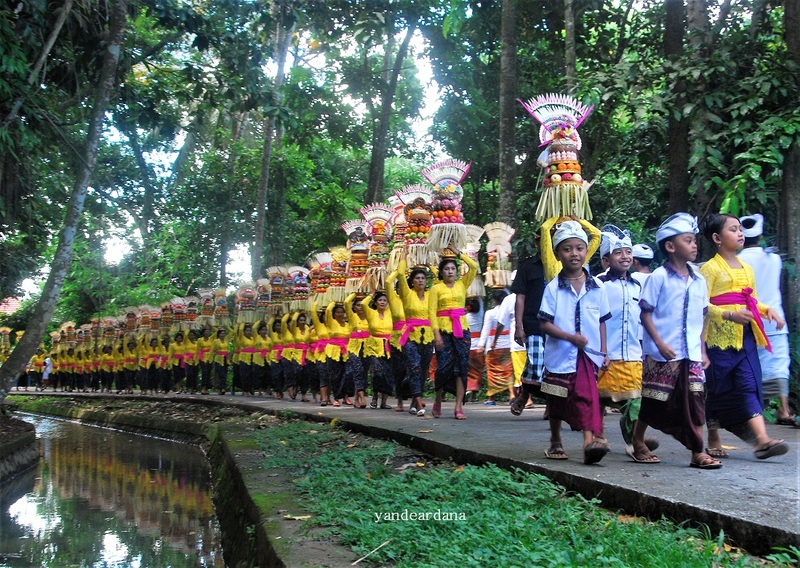 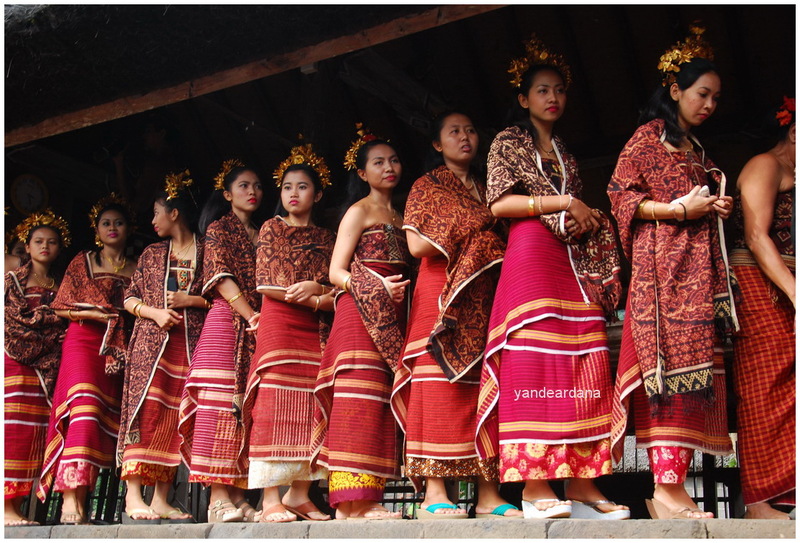 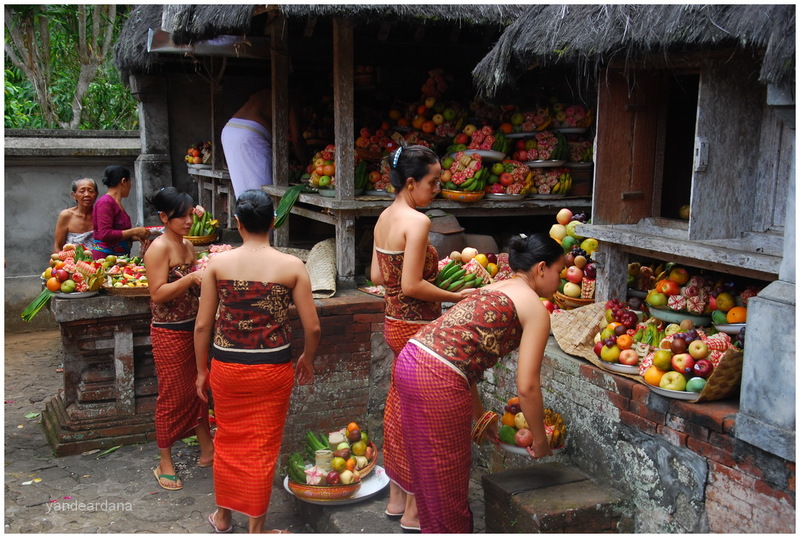 The festival held every year during Bali school holiday from mid of June till mid of July. 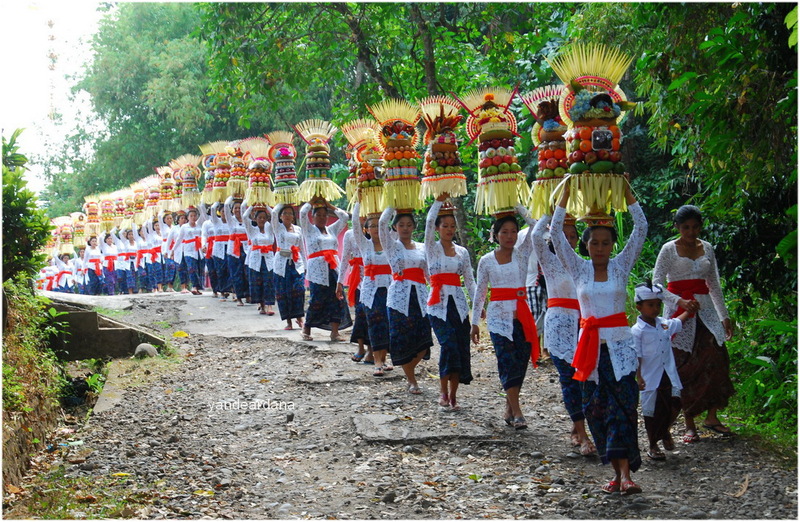 Every regions send their representative to this art festival. 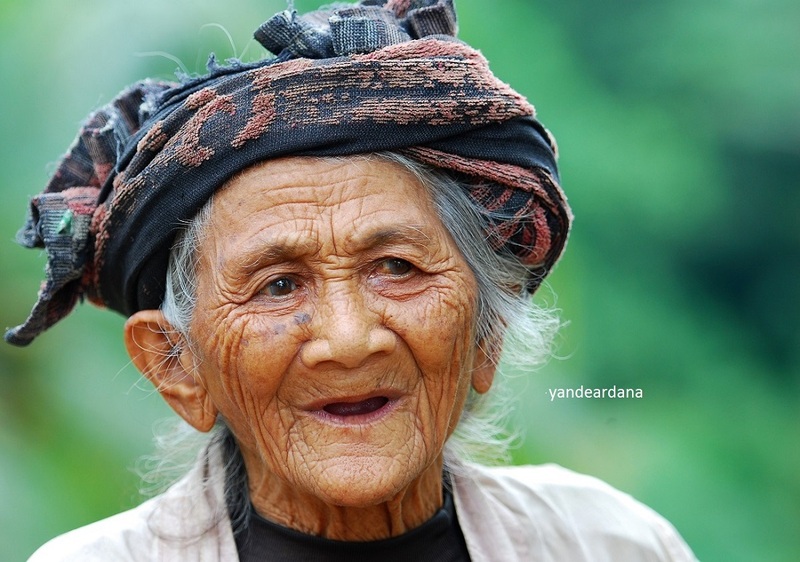 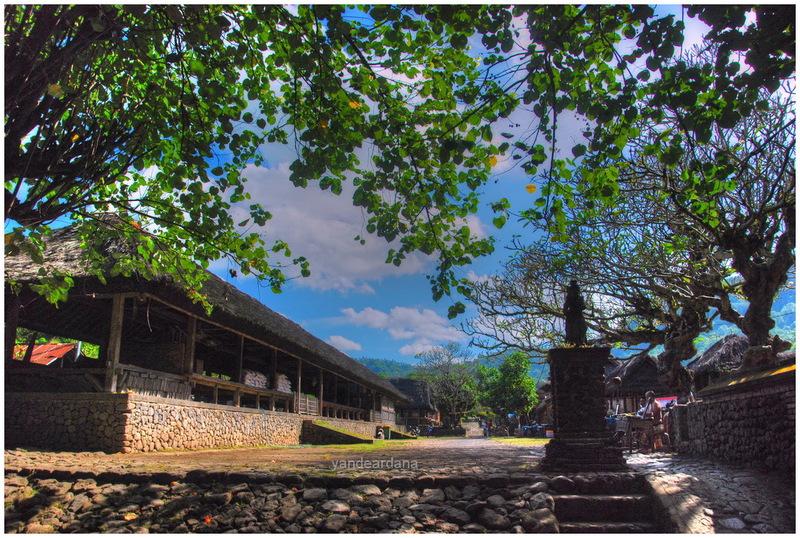 An unique village in Karangasem regency closed to Candi Dasa resort, it is located on the slove of the hill, the village itself is sorrounded by the wall. 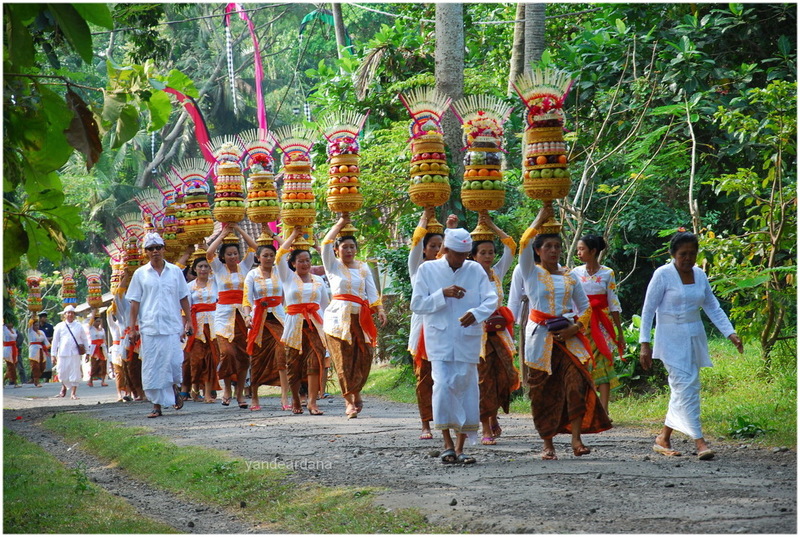 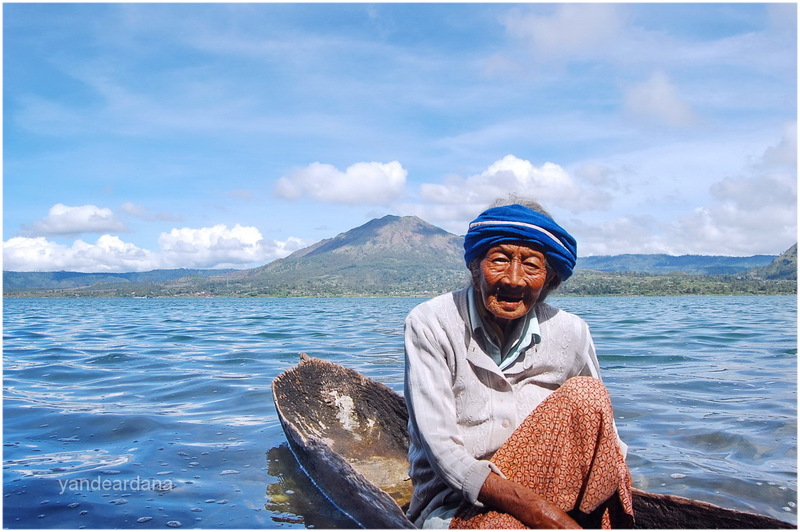 The village related to the story of “Oncesrawa”, a beloved horse of the Bali ancient king of Bedulu, the horse lost. 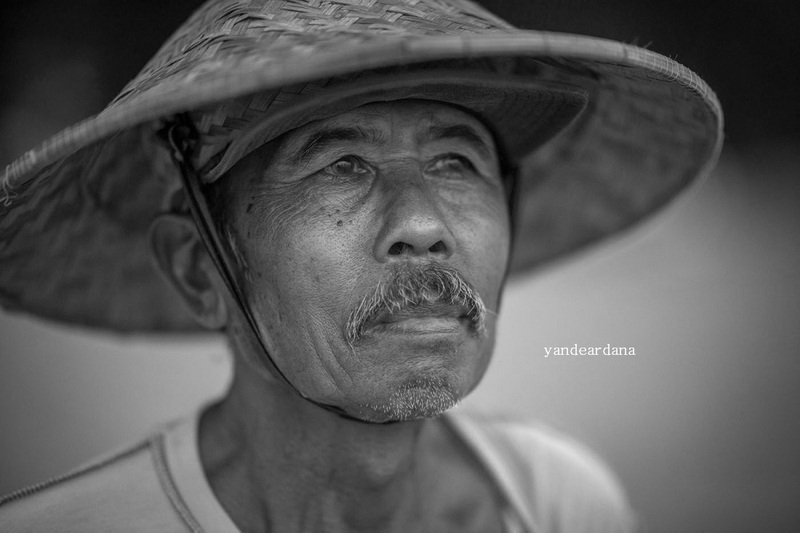 Those who find the horse whether dead or alive, he will grant a piece of land. 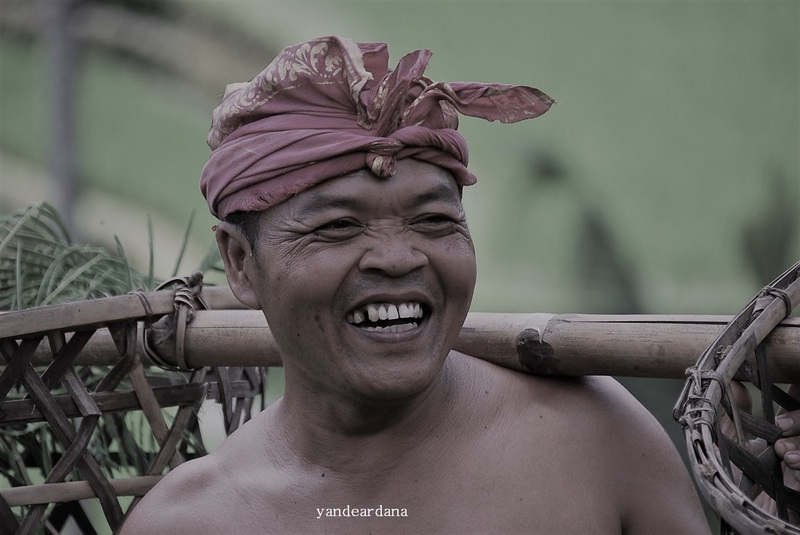 The ancestor of Tenganan village was the person who found the dead body of the horse on the land of Tenganan village now. 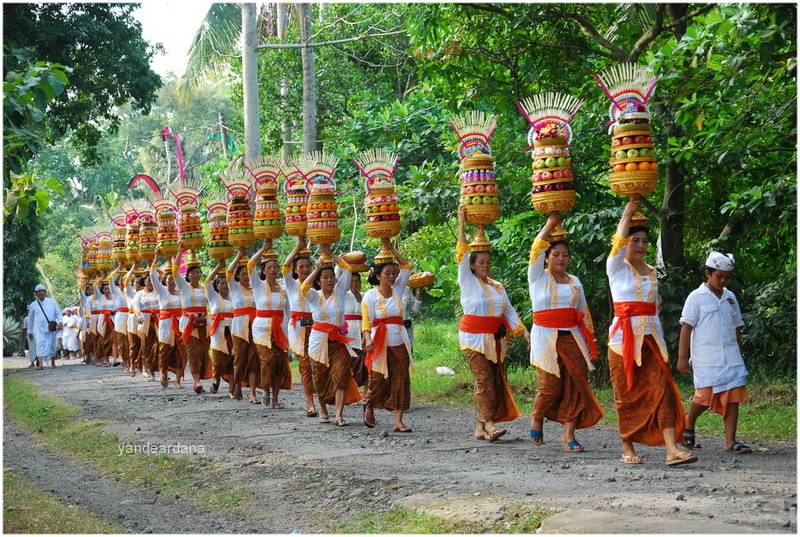 Overthere there is a unique event “Perang Pandan”, fighting used some pandanus leaf with it thorn. 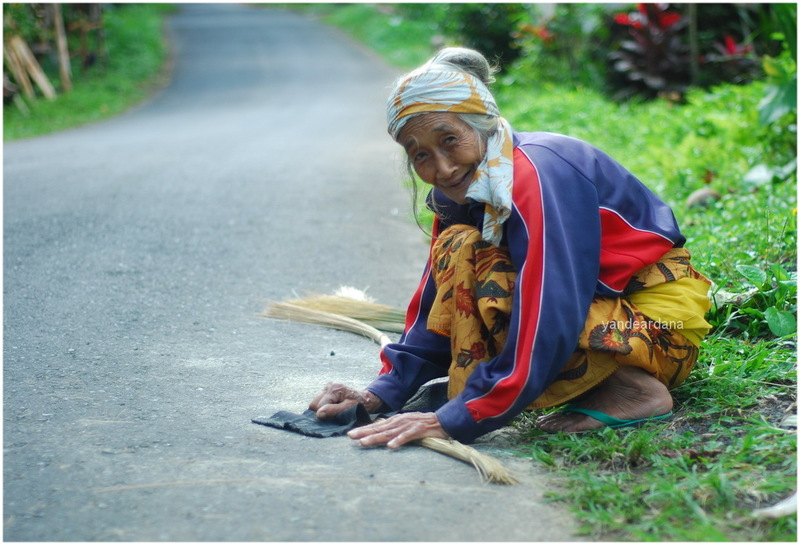 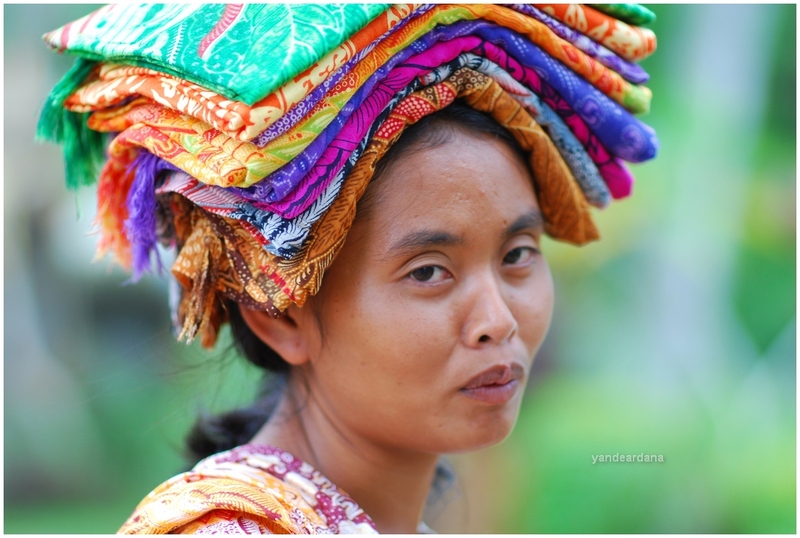 The villager’s skill is to make Ate weaving and Gringsing hand weaving cloth. 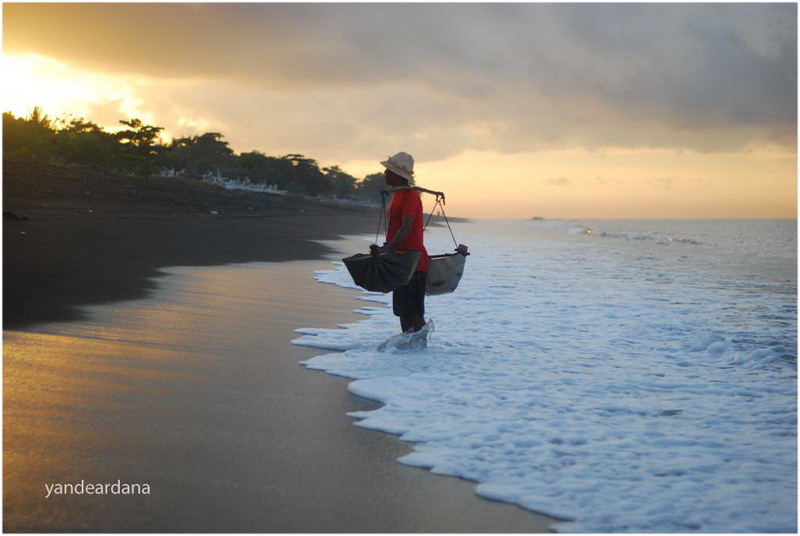 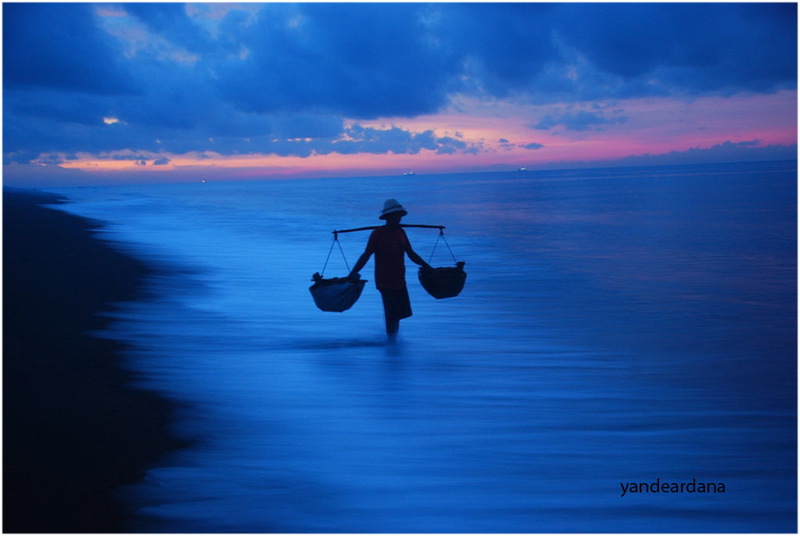 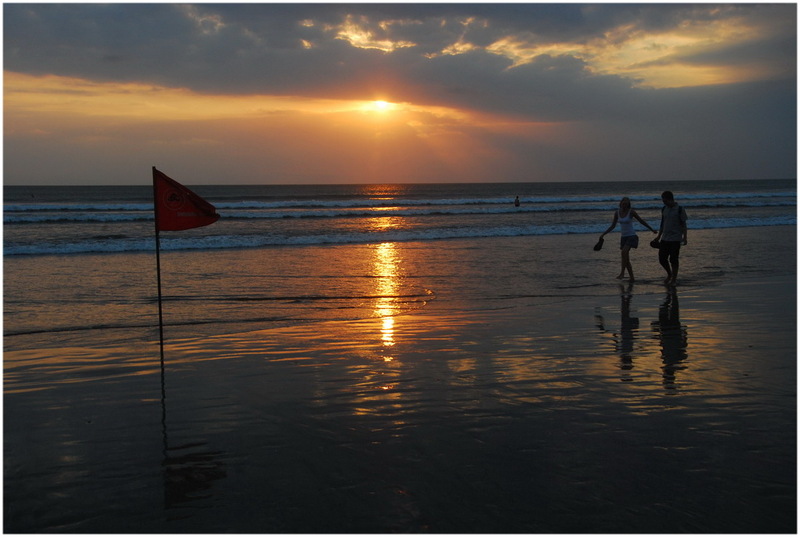 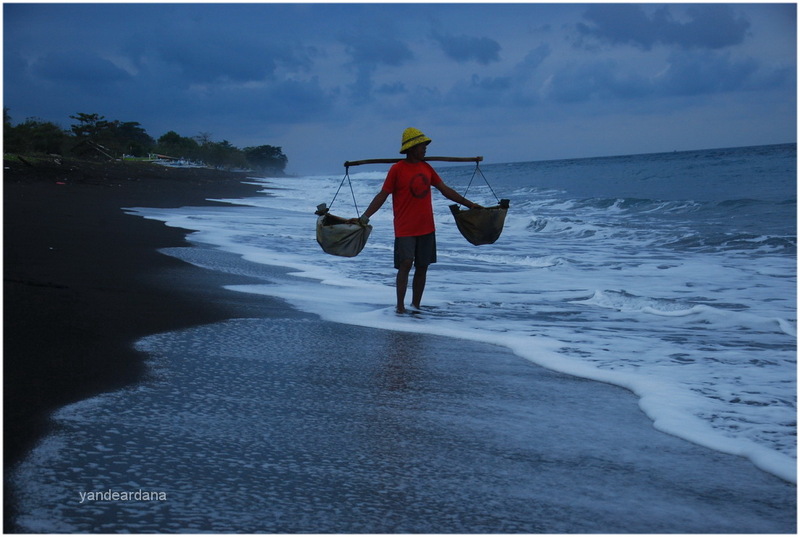 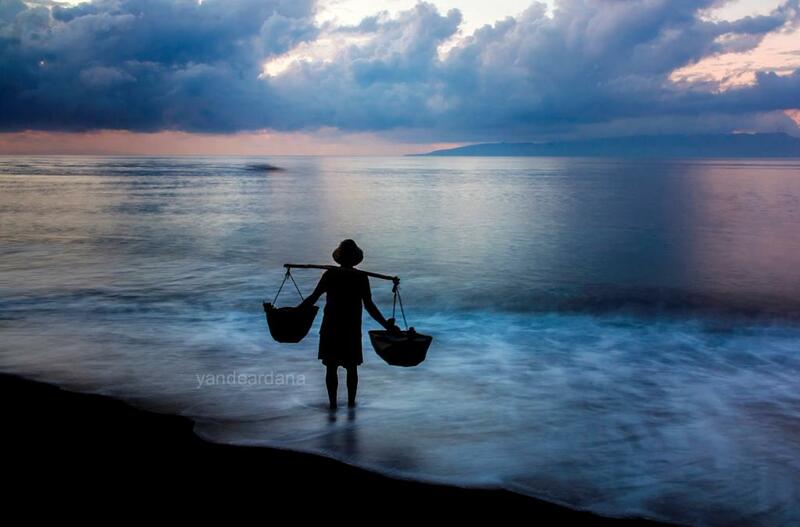 This scenery I shot in Bali beach when the day of Balinese did a purification ceremony brought all effigies in the temple to the source of water like river, beach, lake or spring. 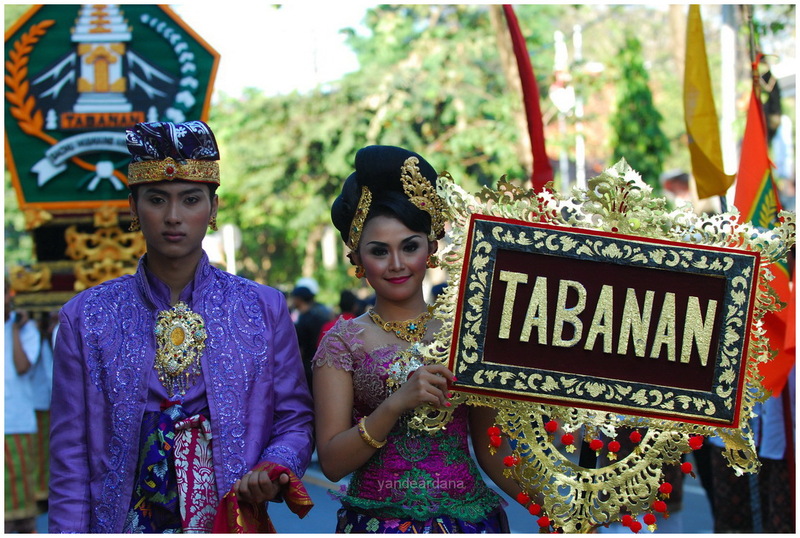 This lady took a sunbathing before standing up and shoot the procession.